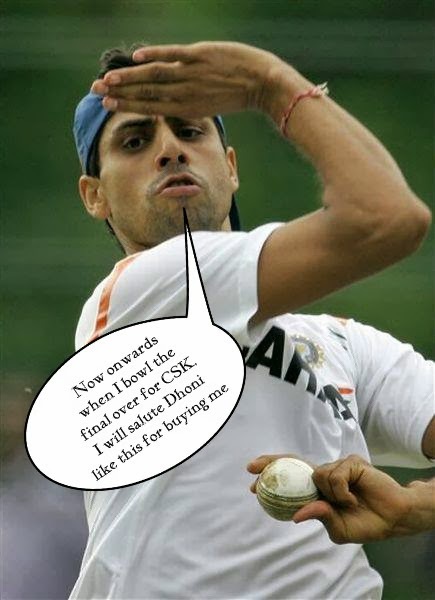 Nehra - the man who single handedly crushed England in the 2003 world cup has gone into a hiding in the last one decade. He has sent his alter ego to play for the last ten years. He is a master bowler when he bowls those last overs. He has a predictable slower ball that would be swapped for a six by a tail end batsman. He has a perfect slower ball which he never disguises and that ball automatically ends outside the stadium when the batsman make contact with the ball. He also has a deadly yorker which often ends up as a juicy full toss for batsman to clear the boundary with ease. He also bowls the fast wide, beamer and wide bouncer that automatically will make the opposition to win matches with ease. Nehra has been there in every nail biting finish in all the matches he has played for the country or for the IPL team he has been a part of. 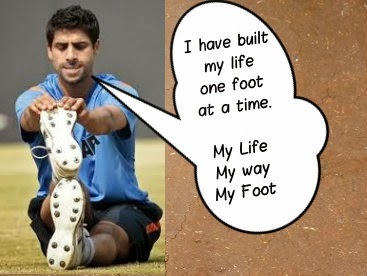 Note : For those who are making fun of Nehra , remember that he will be the game changer at this year's IPL. Additional Note : Will CSK be allowed to play at this year's IPL?